Continuing Care Retirement Communities provide the answer for a growing number of older adults who are looking for the opportunity to enjoy a vibrant and enriching lifestyle with peace of mind for the future. The Spires at Berry College offers beautifully designed apartment homes and cottages for Independent Living and an on-site Health Center in a lakeside setting amid the natural beauty of the Berry College campus. The Health Center offers Assisted Living (including a dedicated Memory Care area) and Skilled Nursing. Should the need for these services arise, care is provided at significantly discounted rates when compared to fees incurred by the general public for these services. Residents of The Spires will receive priority access to higher levels of care in the Health Center as well as access to the world-renowned medical centers of Rome, Georgia if required. The primary difference between ownership communities and a CCRC is that ownership communities typically do not include coverage for Assisted Living, Skilled Nursing care or other healthcare services. In addition, ownership communities may not have a continuum of care conveniently available on the same campus as does a CCRC. Residents (owners) of those communities are also responsible for the resale of their home and for payment of a monthly fee until their home is resold (even after they have moved out). Like ownership communities, rental communities typically do not include Assisted Living or Skilled Nursing care services or facilities. If a resident develops the need for these services, the cost and management of care is fully the resident’s responsibility. Also, since these additional services are not available on-site, residents requiring care may need to move away from the community at their greatest time of need. 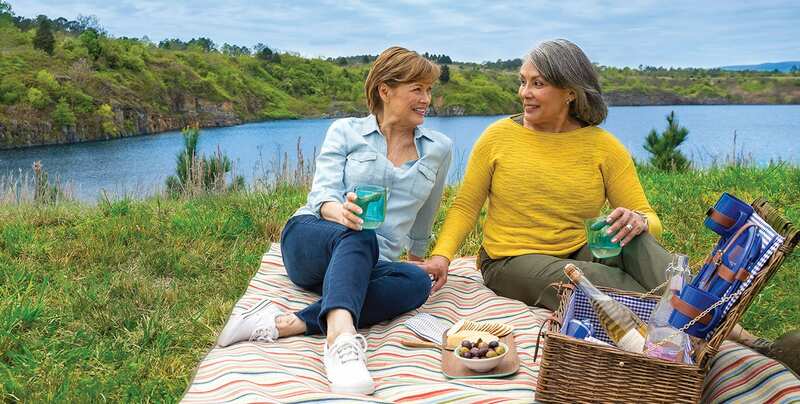 Continuing Care Retirement Communities (CCRC) provide the answer for a growing number of older adults who are looking for the opportunity to enjoy a vibrant and enriching lifestyle with peace of mind for the future. The Spires at Berry College offers beautifully designed apartment homes and cottages for Independent Living and an on-site Health Center in a lakeside setting amid the natural beauty of the Berry College campus. The Health Center offers Assisted Living (including a dedicated Memory Care area) and Skilled Nursing. Should the need for these services arise, care is provided at significantly discounted rates when compared to fees incurred by the general public for these services. Residents of The Spires will receive priority access to higher levels of care in our Health Center as well as access to the world-renowned medical centers of Rome, Georgia if required.